Child Support: What to Expect! 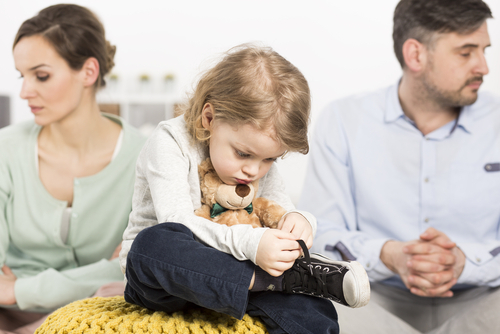 Divorce clients often ask what to expect when it comes to child support. Under New York law, each parent has a duty to support their children until they reach age 21 or otherwise emancipated. In most cases, one parent pays support for the care of their child. The parent who receives support contributes directly to the child’s care and expenses. In New York, child support depends on the number of children the parents have in common, the incomes of the parents and the amount of time that they each spend with the child. Generally, this is done by a calculation. New York law uses a formula that’s based on these factors in order to determine the appropriate amount of support. Although this might seem simple, a child support determination is often a complicated question. It’s important to have an accurate picture of the parties’ incomes in order to make a fair and appropriate determination of support. This is where a family law attorney can help make sure that your rights are protected under New York law. White Plains NY family law attorneys can make sure that each parent presents an accurate picture of their earning potential. A family law attorney in White Plains can also evaluate the case to see if there are unique circumstances that might warrant a support award that deviates from the child support formula. If that’s the case, it’s important to work with the client in order to prepare evidence to present to the court. At the Law Offices of Nicole Muscente, the attorneys work with each client in order to understand what the child support amount is in the case and why. Whether the client pays support or receives it, the White Plains divorce attorneys at Muscente Law help each client understand the law behind their child support amount. Then, they make sure that each client understands how to pay or receive support. They make sure that each client understands what child support covers and how things like medical support and child care expenses apply to the case. Working together, each client can understand how the state arrives at the child support award, with the assurance that it’s the accurate amount based on all of the circumstances in the case.